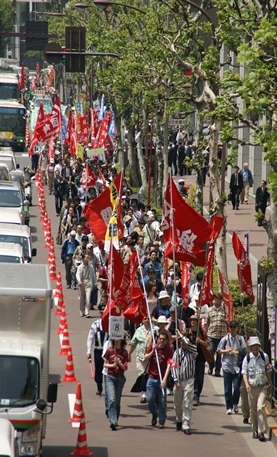 The University Teachers Union (大学教員組合) is a member union of the 2,200-strong National Union of General Workers Tokyo Nambu (全国一般労働組合東京南部), an affiliate of the National Trade Unions Council, Zenrokyo (全国労働組合連絡協議会). Are you on a fixed-term contract? Download UTU's Guide to Fixed-Term Contract Renewal in Japan.